Refined delicate and yet light red wine from France. 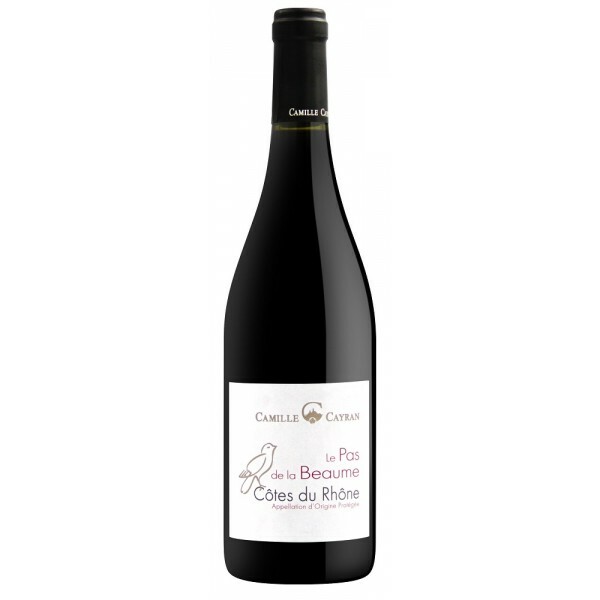 It has a pleasant scent of red berries, garrigues (wildfruit in southwest France) and spices. The taste is fruity and soft on the floor, with a good length. Do you know why the Rhône wines are so popular? The area is as famous as Burgundy and Bordeaux, but the price-performance ratio is extraordinary! Cairanne is a wine village located on the left bank of the Rhône at the foot of the western ridges of the mountain range, separating departments of Drôme and Vaucluse, about forty kilometers from Avignon. The local winemakers became famous for providing regular supplies of wine to the papal descent in Avignon. From 2015 she graduated from a separate AOC Cairanne. The area is renowned for its unique wine-growing conditions, the taste of which is concentrated, rich and delicious, with splendid aromas of fruit and spice. The wine is suitable for a lot of meals, especially Mediterranean cuisine. You certainly will not make a mistake if you open the bottle to smoked meat, toasted or grilled meat.